While on vacation in Mendocino County last week, I was delighted to discover a fantastic new game store in Fort Bragg called “BlaqkDoor”. It is a very modern start-of-the-art game and comic shop with an excellent selection of the latest boardgames, comics, video games and collectibles. The staff were all super friendly and helpful, and the owner, Scott, is a very likable guy, who I chatted to for ages about my favorite subjects: boardgames & comics. I was glad to see he had a copy of Minion Games’ “Manhattan Project” on his shelves, but he obviously hadn’t heard about such other gems as “Those Pesky Humans”, “Tahiti”, “Grave Business”, “Nile” or “Battle Merchants”, not to mention the greatest boardgames of all time: “Legitimacy”. So, I rectified that fact by chewing his ear off for half-an-hour on the subject of how those all are far superior titles from the same publisher! Anyway, now you have no excuse at all not to go to the Mendocino coast for you next weekend mini-break. 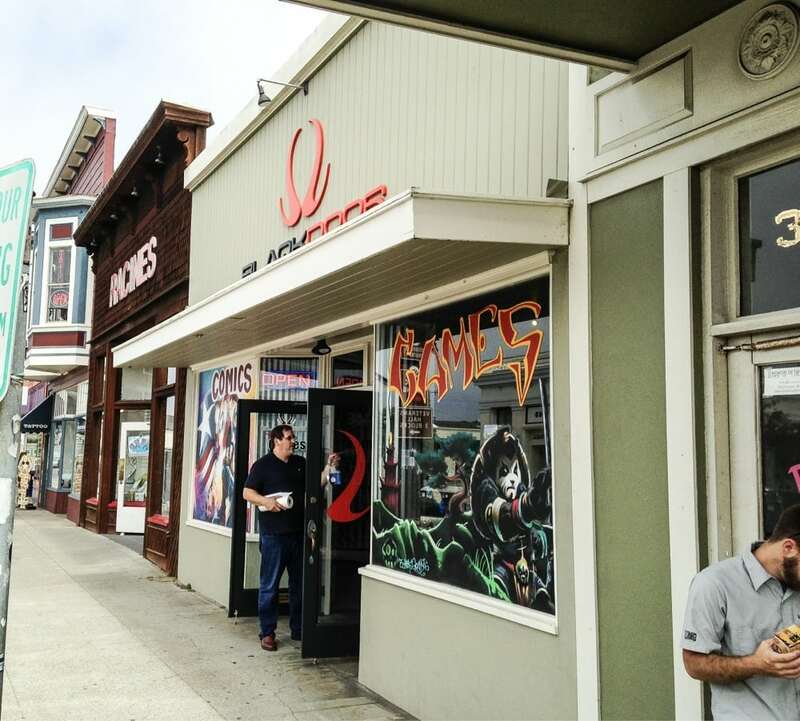 Street View of BlaqkDoor Games in Fort Bragg, Mendocino County. On Main street, right near the Skunk Train station. Previous post: French Student’s Miazaki and Moebius-inspired animated short.